Floodwaters lapping at front windows, charred buildings in the wake of a wildfire, homes damaged or demolished by heavy winds; the images are by now distressingly familiar. Climate change, the primary disruptor of our times, has introduced a new consideration into housebuilding. How can we start weather-proofing homes to withstand severe unpredictable weather? 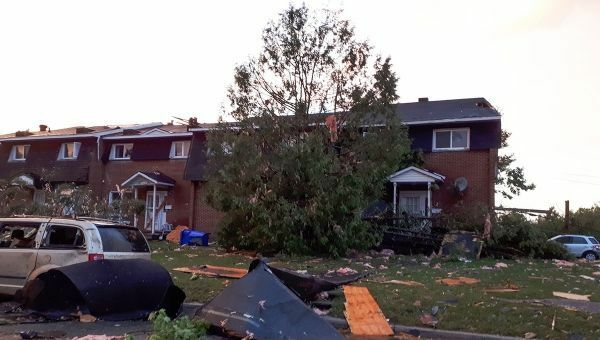 “We can improve resilience – the capacity of a house to survive extreme weather events – in how we build our homes and plan our neighbourhoods,” says Gary H. Martin, a postdoctoral fellow at Carleton University’s Sprott School of Business who focused on sustainable urbanism for his PhD. However, weather-resilient homes remain on the custom-build fringes of the housing sector. Widespread change requires, among various factors, changes to the building code and that, as it turns out, is far from straightforward. Continue reading at Carleton University.